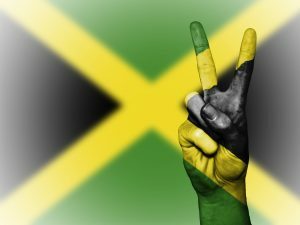 Luis Alberto Moreno, president of the Inter-American Development Bank, is urging Jamaicans to embrace the planned National Identification System (NIDS), which is facing some public pushback and a constitutional challenge. The IDB has provided a loan of US$68 million for the rollout of the NIDS over a three-year period, with a pilot project for civil servants expected to get under way in January 2019. See full story on The Gleaner’s website. Opposition Leader Dr Peter Phillips has told Prime Minister Andrew Holness to shut down his administration if he is unable to find a competent minister to replace Dr Andrew Wheatley at the Ministry of Science, Technology and Energy. It has been more than two weeks since Wheatley resigned as minister amid a scandal at the Petroleum Corporation of Jamaica (Petrojam) and other agencies under his portfolio. See full story on The Gleaner’s website. The Jamaica Chamber of Commerce’s (JCC) vision of supporting Jamaica’s growth by facilitating its members’ integration into the global economy could be further enhanced by the ongoing island-wide Jamaica Survey of Establishments (JSE), reasons JCC CEO Trevor Fearon. See full story on The Gleaner’s website. Hours before the Office of the Prime Minister issued a release last Friday that the Cabinet had ordered the suspension of the long-standing practice of prohibiting women wearing sleeveless attire from entry into government buildings, a female reporter from The Sunday Gleaner tested the system. See full story on The Gleaner’s website. Copa Airlines has named Go Jamaica Travel as its official travel agency in Jamaica as part of a partnership to increase movement between Jamaica and several destinations in the Spanish-speaking Caribbean and Central and South America. The announcement was made by Copa representatives during a product launch at The Jamaica Pegasus hotel last Thursday. See full story on The Gleaner’s website. 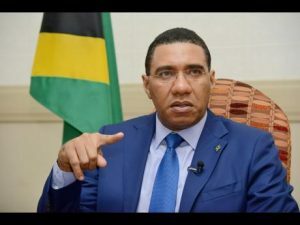 Chairman of the Sagicor Group Richard Byles is questioning why Jamaicans are not being targeted for better paying positions in jobs that are being created in several sectors of the economy. Delivering the keynote address at Saturday night’s St Ann Homecoming and Heritage Foundation’s 13th Annual Awards Banquet at Jewel Dunn’s River in St Ann, Byles acknowledged that over the past five years, economic progress has been made but stressed that much more needs to be done to set the country on firm economic footing. See full story on The Gleaner’s website.